For ratings, maps, other places to visit, and other tourist information, read Helsinki vacation planner . Tucson, USA to Helsinki is an approximately 18-hour flight. You can also do a combination of shuttle and flight. The time zone difference when traveling from Tucson to Helsinki is 9 hours. 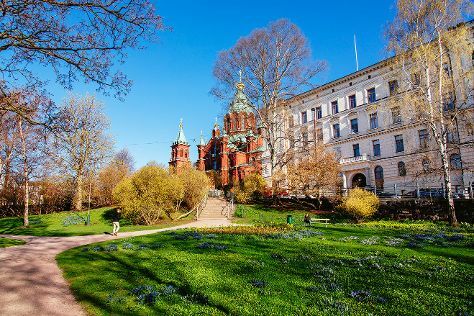 Prepare for cooler weather when traveling from Tucson in June: high temperatures in Helsinki hover around 65°F and lows are around 50°F. Finish your sightseeing early on the 25th (Tue) to allow enough time to travel back home.